ProGrid® Glass geogrid is composed of a reticular structural material made of glass fiber with bitumen coating. It withstands high and low temperatures and can resist corrosion. ProGrid® Glass paving grid is a stress transferring asphalt reinforcement geogrid developed specifically for ashpalt overlays. ProGrid® Glass geogrid can not only decrease the cost of construction but also prolong the service life of the pavement. 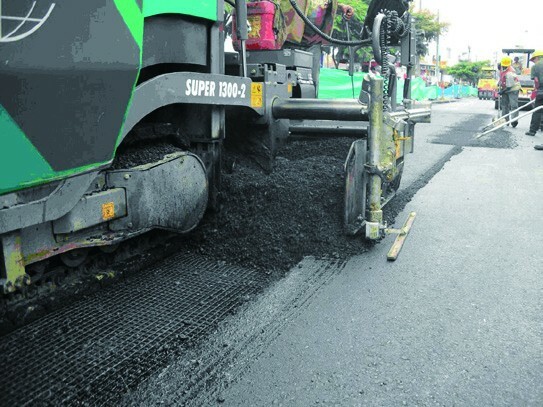 Using ProGrid® Glass geogrid in a pavement system can disperse cyclic loading of vehicle and lower reflective cracking occurrence due to temperature difference to extend useful life of pavement. For more information on this new exciting product please contact your local Global Synthetics Representative.